Thank you to all who attended the 2018 Canadian Surgery Forum! 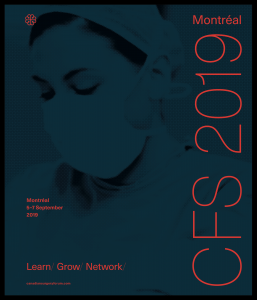 Please join us in Montreal in 2019. For more information, please visit www.canadiansurgeryforum.com. 2015 Robin McLeod Podium Award: Definitive Management of Fistula-in-ano Using Draining Setons. O. Daodu, J. O’Keefe, J. Heine. From the University of Calgary, Calgary, Alberta. 2014 Best Poster Award: Congratulations to Dr. Christine Keng for winning the best poster prize for 2014 entitled: “Rate of positive circumferential radial margins in rectal cancer is dependent on pathologist and surgeon performance, and on the definition of a positive CRM: data from Local Health Integration Network 4”. Eastern Health invites applications for the position of Colorectal Surgeon available immediately. This fee for service position will be located in St. John’s, Newfoundland with the selected candidate joining an established group in an academic setting. The successful candidate will be expected to participate in the call schedule. Candidates should hold Canadian specialty certification in Colorectal Surgery or the equivalent and be eligible for licensure in Newfoundland and Labrador. Preference will be given to Canadian citizens and permanent residents. For more information regarding Eastern Health and practicing in Newfoundland and Labrador please visit the following websites: www.easternhealth.ca and www.practicenl.ca. For more information about Memorial University please visit www.mun.ca.